Learning the alphabet when you were little was always pretty boring. 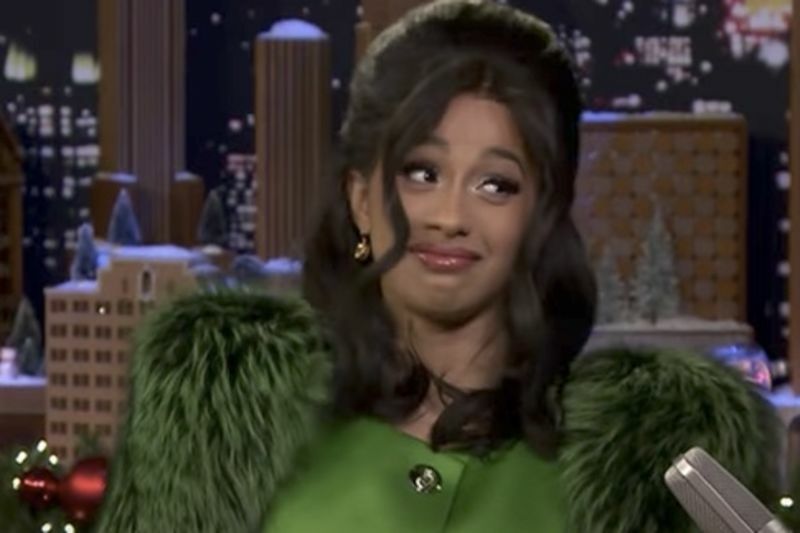 "A" was always for Apple, "B" for Banana, but now we have the alphabet for adults compliments of Cardi B. Yes, the former stripper and now esteemed rapper will educate us on a creatively teaching the alphabet. Cardi B is known for being pretty eccentric and at times, just plain weird. The noises that come out of her are not of a human frequency but they definitely make us giggle. She has absolutely no filter whatsoever and feels no shame in letting all of her weird hang out for everyone to appreciate. Her no filter attitude is what shot her to fame as she openly spoke about her career as a stripper and appeared on the VH1 reality television series Love & Hip Hop: New York. Eventually, her two mixtapes got her signing her first record deal with Atlantic Records and her single "Bodak Yellow" won her the top spot on the US Billboard Hot 100 chart. OKURRR, lets put the weird together and make a new, weird, nonsensical alphabet song. Video: What Women Secretly Do That They Love - And How They Justify How Weird It Is! Video: Make Your Very Own Formula 1 Car From Matches... Without Glue!! !